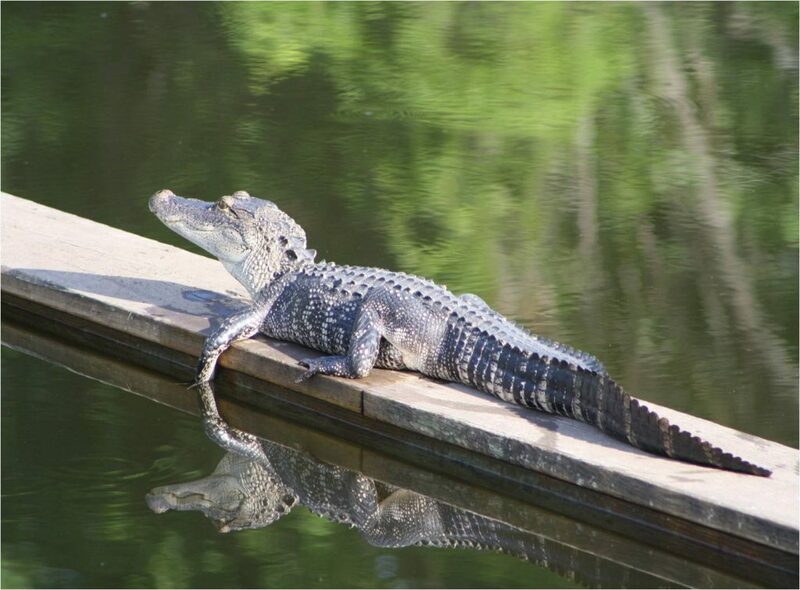 Most people living in areas where alligators reside make it a point to avoid them. But Lisa and John McNeill go out of their way to find North America’s largest reptile. 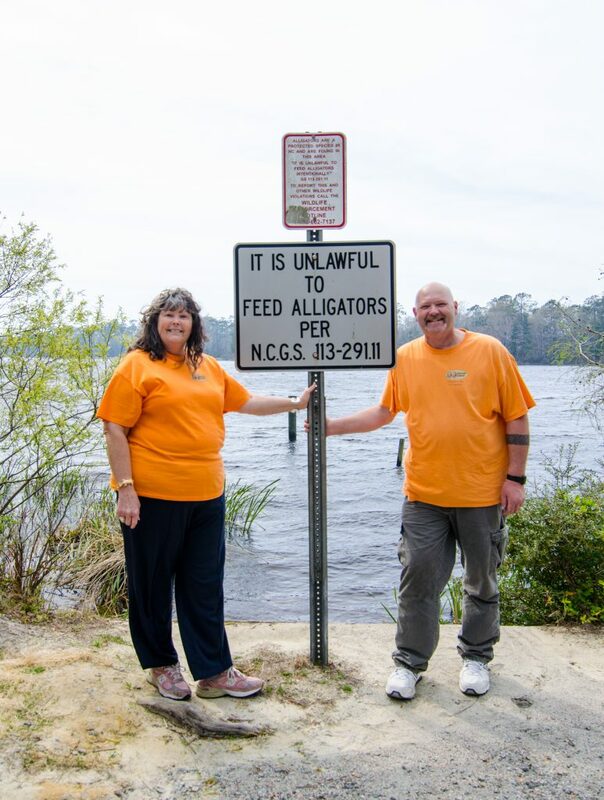 Residents of Winston-Salem, North Carolina, the McNeills operate a small organization called Alligator Alliance to protect and advocate for the alligator population of North Carolina. It all started with Lisa’s first sighting of an alligator in July 2010 in Southport. “It was the coolest thing I had ever seen,” she says. From that point forward she made it her mission to find alligators during the warmer months, when she and John visit Brunswick County. Lisa loved admiring the creatures from a distance, but she grew increasingly dismayed at how much trash was in their habitats. To change that she enlisted the help of her maintenance mechanic husband, who engineered the long grabbers that enable the couple to safely remove litter from the local waterways. 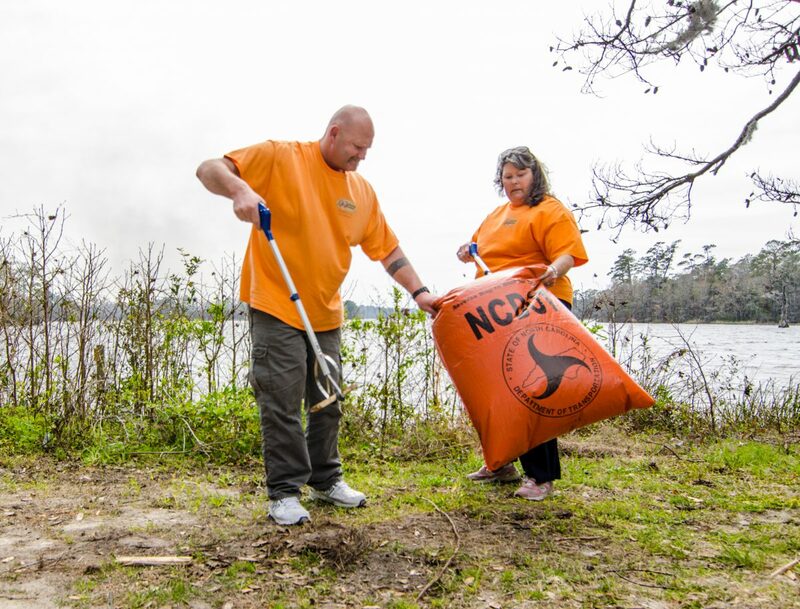 The McNeills decided to focus their efforts on cleaning up alligator habitats throughout Brunswick County, which has a large number of alligators coupled with a booming human population. Brunswick County also holds special meaning to the couple, who got engaged in Southport in 1984. 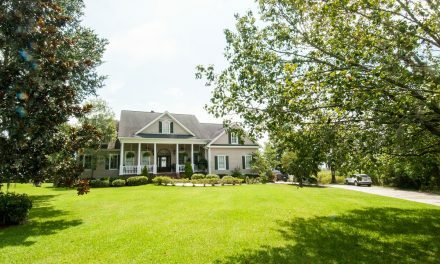 By 2014 the McNeills had cleaned up countless alligator habitats throughout Brunswick County, but they wanted to do more. They created a website and brochures with information on how to co-exist with alligators. Before long Alligator Alliance was born and the McNeills were being invited to deliver presentations in the community, dispelling myths about alligators and educating people about how to handle encounters with the cold-blooded creatures. “Society has taught us that alligators are aggressive and attack, and it’s just not so,” John says, explaining that alligators don’t pose a threat to humans unless they’re provoked. John and Lisa caution people never to approach alligators and never under any circumstances try to feed them. The McNeills believe that people’s fears and misconceptions about alligators are what leads to widespread disrespect and destruction of their habitats. Lisa asserts that there’s a major lack of advocacy for the creatures. Lisa and John share that neither of them has degrees in biology or related studies, but they’ve dedicated the last eight years to doing extensive research on alligators and their relationship to the environment. John says that alligators are an integral part of the ecosystem. The private dens they make around warm ponds, marshes, wetlands, rivers, lakes and swamps also provide necessary shelter for other creatures seeking protection from the elements or a hiding spot from predators. In addition, alligators provide a “natural cleanup” in nature, controlling populations of the animals they prey on. It’s for these reasons and many more that the McNeills are passionate about preserving the alligator population, which they say is now being threatened by a change in regulation by the North Carolina Wildlife Resources Commission. For the first time since 1973, the commission has approved an alligator-hunting season from September 1 through October 1, 2018. The McNeills say that many taxidermists and businesses hunt alligators in order to get a trophy. Alligators are viewed as exotic creatures in the hunting world. But killing members of the Alligatoridae family has serious implications, John says. With the animals’ slow growth rates, hunting by humans could damage the population for years to come. After writing numerous letters and attending every meeting possible for the last four years to protest this change, the McNeills say that their focus now is on fighting for restrictions to the current hunting season and hopefully preventing future hunting seasons. Lisa says that, naturally, they hear negative comments, too, about the work they do. Some people openly express their dislike of alligators, often remarking on the creatures’ unattractive or fierce appearance. Lisa and John now make regular trips to Brunswick County from March through October (alligator season) and they plan to move here full-time in the near future. “We’d love to have 5 acres of land and a pond in case we found an injured alligator and could relocate him to our property for rescue and rehab,” says John. The couple names each alligator they come in contact with and they maintain a log of the sighting, including the date and the temperature, so they can keep up with the conditions of the alligators’ habitats. Lisa frequently drives around Brunswick County in the springtime to visit friends, discover new locations for gators and distribute pamphlets, wristbands and stickers to people she meets along the way, referring to herself as the Gator Patrol. Going forward, the McNeills hope to educate younger people about alligators. They plan to create coloring books that they can hand out to kids and they’re currently working on a children’s book about alligators. John says the most rewarding part about their work is knowing that every impactful teaching experience means less chance of a harmful incident occurring to an alligator, such as relocation or euthanization. “Our main priority is keeping them in their homes,” he says. “And we feel blessed to be able to enjoy alligators in our home of North Carolina, and not just in a zoo or aquarium,” Lisa adds. Want to help Brunswick County’s alligators? For more information about Alligator Alliance, visit alligatoralliance.com. PreviousWhat is this Superfund Site in Navassa? 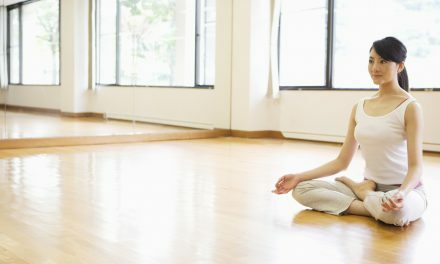 Why Yoga? Physical exercise, tension release and mental decompression are some of the reasons why people practice yoga.